Leiden Arts in Society Blog - Articles - Medieval ASMR? It was at Matins on the feast In nativitate beatae Mariae, and after the third lesson I was shown in a vision something miraculous. Before that my heart had already started to beat faster because of the words of love that were read from the Canticle, which made me think of a perfect kiss. Shortly afterwards, during the second nocturne, I saw, in the spirit, a queen coming towards me, clad in a gold dress; and her dress was all full of eyes; and all the eyes were completely transparent, like fiery flames, and nevertheless like crystal. Hadewijch describes how the liturgical words lead to physical sensations and an inner vision, which are both part of her religious experience. 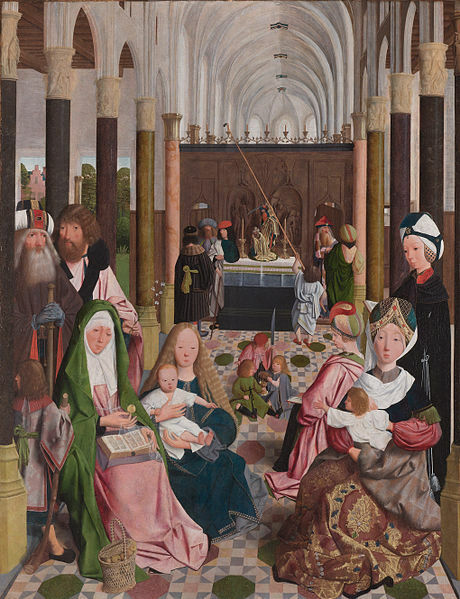 A late medieval church interior in Geertgen tot Sint Jans' Holy Kinship, Rijsmuseum (source). Hadewijch’s vision came to my mind when I learned about the phenomenon ASMR a few years ago. ASMR stands for ‘Autonomous Sensory Meridian Response’ and refers to the experience of pleasant and relaxing sensations such as tingling in the scalp, neck and sometimes other parts of the body. These sensations can be aroused by sensory stimuli, most often of auditory and/or visual nature. For people who are sensitive to ASMR there is a wide range of videos available on platforms such as Youtube. The creators of these videos aim to arouse tingling sensations in their viewers by whispering, making all sorts of sounds like tapping, brushing and clicking, and even playing out elaborate roleplays with a focus on personal attention. Some ministers had such pleasant voices that I barely heard what they were talking about. Don’t stop, I kept thinking. Please don’t stop talking. Blissful tingles jumped from my head to my neck and back again, like bugs. The way the man on the bench in front of us sighed when changing his sitting posture, the sucking and chewing on sweets, liquorice and mints, the muted unreal sounds from outside, the singing of my mother, deep and moving; everything around me seemed fuller, spacious […]. 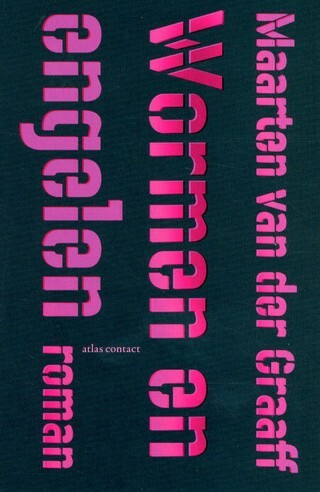 Maarten van der Graaff's Wormen en engelen. I started to think back at how and when I would get these feelings during prayer or service time and realise that most if not all of them would still be triggering to me even with my newfound absence of faith. They would be in the quiet times of soft spoken prayer, or the personal addressing from the speaker to the congregation or the light touch with or without oil, or atmospheric songs of worship… all things which as I say I believe stimulate the ASMR response. One Pentecost at dawn I had a vision. Matins were being sung in the church and I was there. And my heart and my veins and all my limbs trembled and shuddered with desire. 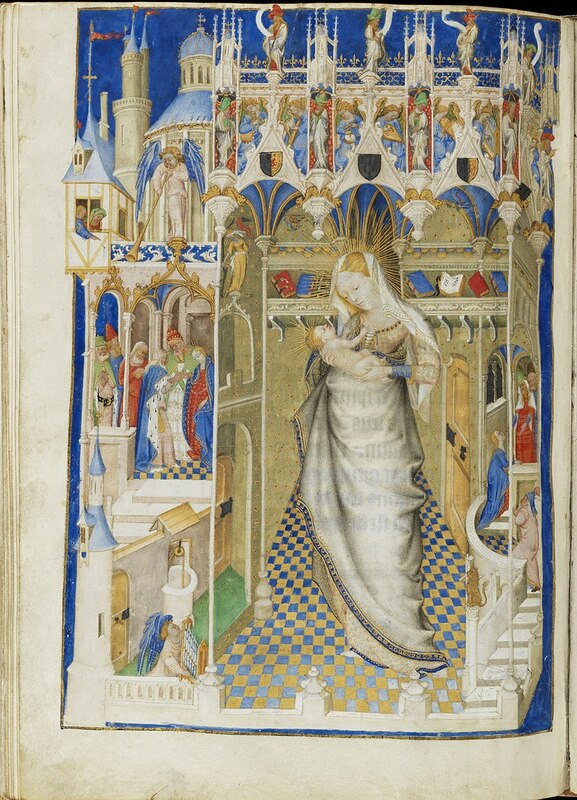 Madonna and Child in a Church, The Hours of Isabella Stuart, c. 1431, Fitzilliam Museum (source). Hadewijch’s sensation diverges quite a bit from ASMR as it is normally described. Moreover, we can wonder what the explanatory value of such as comparison would be: ASMR would account only for her bodily sensations and not for her inner visions. Have we learned anything about medieval religious experience from this short exploration of ASMR? For me, it draws attention to the fact that the sensory aspects of liturgy could have a significant impact on the way worshippers experienced religion. Therefore, projects in which these sensory elements are researched and reconstructed are vital in understanding medieval religiosity. An example of such a project is The Experience of Worship in late medieval Cathedral and Parish Church at Bangor University (2009-2013), in which various medieval liturgies were re-enacted, and the participants were asked to write down their responses. The resulting videos and written records are available as research material. Enactment of the Lady Mass during Eastertide in Salisbury Cathedral, part of the research project The Experience of Worship in late medieval Cathedral and Parish Church. Another example are medieval ‘soundscapes’, which give us and idea of a lost auditory experience. Cécile de Morrée made a , and recently Mariana Lopez created an interactive soundscape of the York Mystery Plays. These two projects show that creative, performative ways of doing and presenting research can lead to new insights in medieval sensory experience. © Lieke Smits and Leiden Arts in Society Blog, 2018. Unauthorised use and/or duplication of this material without express and written permission from this site’s author and/or owner is strictly prohibited. Excerpts and links may be used, provided that full and clear credit is given to Lieke Smits and Leiden Arts in Society Blog with appropriate and specific direction to the original content.